Atacama Desert, which lies along the coast of Chile. There is a striking difference between the Sahara and the Atacama Desert. The Sahara borders the Mediterranean Sea and the North Atlantic Ocean, but it is a huge area, most of which is a long way from the sea. The Atacama, on the other hand, comprises a narrow coastal strip bordering the South Pacific Ocean. The Namib Desert, in Namibia, southwestern Africa, is a desert similar to the Atacama and almost as dry. The Sahara is a subtropical desert, its climate resulting from the way air circulates between the equator and the Tropics. The Atacama and Namib are West Coast deserts, produced by a different climatic regime. When we hear the word desert, the picture that springs to mind is of vast expanses of sand dunes and a pitiless Sun blazing from a clear blue sky. We think of unbearable heat and raging thirst with no water within miles. The interior of the Sahara is like that, and so is the Atacama. The image we carry in our minds is derived from these and other hot deserts. Those are the deserts that are featured in many adventure stories and movies, although it is only during the middle part of the day that the deserts are so hot. Once the Sun has set, the ground rapidly loses the heat it absorbed by day, and nights can be very cold. The box on page 8 explains why. In July, which is the hottest month, the average temperature at In Salah is 98 °F (37°C) and in December, the coldest month, it is 57°F (14°C). Kashi is a town in the Xinjiang Uygur Autonomous Region of China, where the average annual rainfall is 2.5 inches (63.5 mm), spread fairly evenly through the year, the wettest months receiving about 0.3 inch (7.6 mm). Kashi lies inside a desert, but not a hot desert like the Sahara. The average temperature in the hottest month, July, is 78°F (25.6°C), although it has been known to reach almost 90°F (32°C). January is the coldest month, with an average temperature of 21°F (-6°C), but a minimum of 12°F (-11°C). As the map shows, Kashi lies in the Takla Makan Desert. The Takla Makan is a different kind of desert. It looks much the same as the Sahara, with vast areas of shifting sand dunes where no plants can grow, and in the center it is at least as dry, but it is much colder. Kashi is about 4,300 feet (1,310 m) above sea level in the foothills of the mountains, where it receives a little rain from air that has crossed the mountains. The Tarim Basin at the center of the desert is much lower. Air entering the basin has lost any moisture it might once have held. In some years it does not rain at all. Takla Makan Desert, located in western China. Lying to the east of the Takla Makan, the Gobi Desert is better known. It is also less severe. The central part of the desert receives up to two inches (50 mm) of rain a year and most of it supports sparse vegetation. It is only the southeastern part that receives hardly any rain at all. Despite this, there are no towns in the Gobi Desert. Ulan Bator (or Ulaan-baatar), which is shown on the map, is the capital of Mongolia. It is a thriving city, but it does not lie inside the desert. South America has a desert comparable to the Gobi, though not so dry. The Patagonian Desert, covering the whole of Argentina to the east of the Andes and south of latitude 39° S, is the largest desert in either North or South America. Its area is about 300,000 square miles (777,000 km2). The average rainfall is less than five inches (127 mm) a year. The Takla Makan, Gobi, Patagonian, and other deserts like them are isolated from the oceans. The Takla Makan is in the center of Eurasia and surrounded by high mountains. Tibet lies to its south and the Himalayas are on the southern side of the Tibetan Plateau. Air approaching the Patagonian Desert must cross the Andes, losing its moisture as it does so. These are continental deserts. of course, and it never melts, so gradually, over millions of years, the ice grows steadily thicker, even though the amount added to it every year is extremely small. 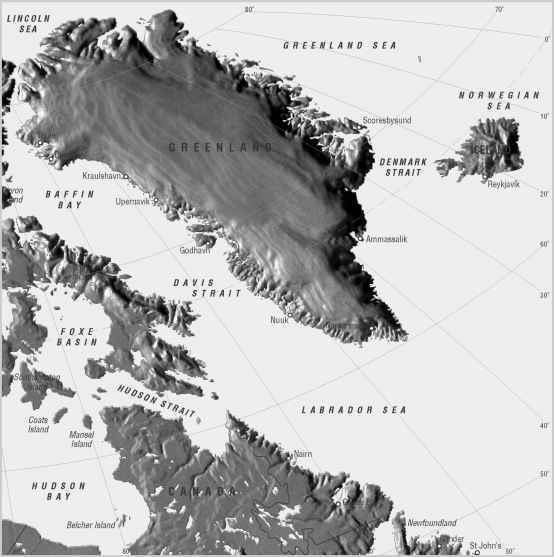 Near the South Pole, at the center of the ice sheet covering most of eastern Antarctica, an average of slightly more than 0.1 inch (2.5 mm) of precipitation falls in a year. Almost all of it falls in February, although a little—less than 0.05 inch (1.3 mm)—falls in January, October, and December. It falls as snow, of course, and the depth is given after the snow has been melted. This is necessary because different types of snow trap varying quantities of air, so some form much thicker layers than others. Melting the snow makes it possible to compare them. One-tenth of an inch of water is probably equivalent to approximately one inch (25 mm) of fresh snow. Antarctica is the coldest of all the continents and the South Pole is the coldest part of Antarctica. In the middle of summer (December in the Southern Hemisphere) the average temperature is between -15°F (-26 °C) and -21 °F (-29°C), although it has been known to rise as high as 8°F (-13 °C). The difference is not between daytime and nighttime temperatures, because there is no night during the Antarctic summer. Temperatures in Antarctica reach their lowest soon after the autumn equinox, then remain fairly constant through the winter. This is called a coreless winter, and Antarctica is the only place on Earth where it happens. The winter temperature (when the Sun never rises above the horizon) ranges between -69°C (-56°C) and a distinctly chilly -81 °F (-63°C), but can fall as low as -117°F (-83°C). Like Antarctica, Greenland (also called Kalaallit Nunaat) also has a dry climate. Mountain chains run down the eastern and western coasts. Behind them, the center of the country is a high plateau covered by an ice sheet with an average thickness of 5,000 feet (1,525 m). At the center of the ice sheet, the average temperature is about 13 °F) (-10.6°C) in summer and -53°F (-47°C) in winter. The annual precipitation over the ice sheet averages about 0.3 inch (8 mm) a year—equivalent to about 3 inches (76 mm) of snow. This makes the climate of Greenland only slightly moister than that of central Antarctica. Both are drier than In Salah and much drier than the Takla Makan Desert. It is hardly surprising that no one lives permanently in central Greenland; all the towns are on the coast. There are deserts at the poles, deserts in the center of continents, deserts along the western coasts of continents, and deserts in the subtrop-ics. Deserts are very widespread. They cover one-fifth of the land surface of the world, although only 8 percent of the surface is so dry that no plants can grow. The map on page 7 shows where these deserts are located. Deserts are places that receive very little rain or snow, although the air in West Coast deserts is often very moist and fogs are common there. Some deserts are hot, some cool, and some extremely cold. Greenland, the center of What matters is not so much the amount of precipitation (rain, snow, which is uninhabited. hail, and any other water that reaches the ground from the sky) that a place receives, but the amount of moisture that penetrates the soil and comes within the reach of plant roots. Plants will thrive where the soil is moist. Such a place is not a desert. Water will penetrate the soil if the rate at which it falls exceeds the rate at which it evaporates from the surface. Obviously, the actual rate of evaporation depends on the amount of precipitation. Water cannot evaporate from the ground unless it fell to the ground first. Consequently, any measure of actual evaporation is meaningless in a region with a dry climate. The alternative is to measure the potential evaporation, which is the amount of water that would evaporate from the surface if the supply of water was unlimited and the surface was permanently wet. This can be measured very simply using an evaporation pan, which is a container with an open top and marks down the side to calibrate its depth, rather like some swimming pools. The drawing shows what it is like. When it is filled with water precisely to one of the marks, the water surface is exposed to the air. Some time later the water level in the pan is noted. The fall in the level indicates the amount of water that has evaporated. How often the pan is checked depends on the rate of evaporation—the faster the water evaporates, the more frequently the level needs to be checked. If necessary, more water is added from time to time and the addition recorded. A rain or snow gauge is set somewhere nearby. It is used over a long period, ideally of many years, to determine the average amount of precipitation that falls in each month and, from that, the average annual precipitation. You can measure the potential evaporation near your own home. The worlds deserts are found in the subtropics, in the interior of continents, along the western coasts of continents, and over the polar ice caps. When a substance is heated, it absorbs heat energy and its temperature rises. The amount of heat it must absorb in order to raise its temperature by one degree varies from one substance to another, however. The ratio of the heat applied to a substance to the extent of the rise in its temperature is called the specific heat capacity for that substance. It is measured in calories per gram per degree Celsius (cal g-1 °C-1) or in the scientific units of joules per kilogram per kelvin (J kg-1 K-1; IK = 1°C = 1.8°F). Specific heat capacity varies slightly according to the temperature, so when quoting the specific heat capacity of a substance it is customary to specify the temperature or temperature range to which this refers. Pure water has a specific heat capacity of 1 cal g-1 °C-1 (4,180 J kg-1 K-1) at 59°F (15°C). This means that at 59°F (15°C) one gram of water must absorb one calorie of heat in order for its temperature to rise by one degree Celsius (or 0.56 cal to raise its temperature by 1°F). Seawater at 17°C (62.6°F) has a specific heat capacity of 0.94 cal g-1 °C-1 (3,930 J kg-1 K-1). The desert surface consists of granite rock and sand. At temperatures between 68°F (20°C) and 212°F (100°C), the specific heat capacity of granite is 0.19-0.20 cal g-1 °C-1 (800-840 J kg-1 K-1). Within the same temperature range, the specific heat capacity of sand is 0.20 cal g-1 °C-1 (800 J kg-1 K-1). These values are typical for most types of rock. Water has a specific heat capacity about five times that of rock. This means water must absorb five times more heat than rock to produce a similar rise in temperature. It is why water warms up so much more slowly than sand and rock. Visit the beach on a really hot day in summer and by lunchtime the sand will be so hot you have to run across it to avoid hurting your bare feet, but when needed to produce a desert vary from place to place. Less water evaporates from a polar ice sheet than from rocks in the Sahara, because the temperature is lower. Consequently, for an ice sheet to have a desert climate, it must receive less precipitation than would be needed to produce a desert nearer the equator. There is a precipitation limit, however, below which a desert is likely to form anywhere, regardless of the temperature. Anywhere that receives less than 10 inches (250 mm) of precipitation a year is probably a desert. Evaporation pan. Measurements of the fall in the water level are used to calculate the rate of evaporation. you splash into the water, it is refreshingly cool. The reason for this is the difference in the specific heat capacities of water and sand. In the desert, the rock and sand, with a low specific heat capacity, heats up rapidly. By the middle of the day it is extremely hot. Specific heat capacity works both ways, though. Substances that heat quickly also cool down again quickly. The molecular configuration that confers a rapid response to absorbed heat also ensures the heat cannot be long retained once the external supply shuts down. The ground radiates its heat into the sky. If there were clouds, they would absorb much of this heat and re-radiate it, effectively trapping heat and keeping the air warm. But the desert sky is cloudless and the desert behaves much like a blackbody. A blackbody is any object that absorbs all the radiation falling on it, then re-radiates the whole of the absorbed energy, but at a longer wavelength. There is no such thing as a perfect blackbody (some energy is inevitably lost), but the Sun and Earth come close. The wavelength of the radiation from a blackbody is inversely proportional to the temperature: the higher the temperature, the shorter the wavelength. During the day, the desert rock and sand absorb heat from the Sun. Their temperature rises and they re-radiate their energy into the sky, but at the same time they continue to absorb solar radiation. The balance between the energy they absorb and the energy they radiate allows the surface temperature to rise to a peak in the early afternoon, after which it remains steady. Then, as the Sun sinks toward the horizon, the balance starts to shift. Radiation from the surface remains constant, but less solar energy is absorbed. The surface starts to cool, but slowly. Once the Sun sinks below the horizon and darkness falls, there is no more sunshine for the desert to absorb, but neither is there anything to halt its blackbody radiation, which continues. The surface temperature then plummets. Desert nights are cold. Sometimes they are very cold indeed. Deserts are dry. Wadi Halfa has a typical desert climate. It is a town on the shores of Lake Nasser, in northern Sudan, and is important because it lies at the end of a railroad and is the place where goods heading north are transferred to ships that carry them down the Nile into Egypt. Wadi Halfa ordinarily receives less than 0.1 inch (2.5 mm) of rain a year. It once went 19 years with no rain at all. This is not to say it never rains in the desert. Sometimes it does, and when it rains it often rains heavily. A single storm can drop two inches (50 mm) or more of rain on a place that has seen no rain for years. After one of these desert showers, torrential rivers flow through what had been dried beds, called wadis (sometimes spelled ouadi). There can be widespread floods. At Tamanrasset, Algeria, for example, the average annual rainfall is 1.8 inches (46 mm), but on January 15, 1922, it was hit by a storm with bitterly cold rain that continued through the following day and did not abate until January 17. An eyewitness said water was rushing through the wadi at the speed of a galloping horse. It washed away the huts and gardens of the local inhabitants, who had taken shelter in two abandoned forts. Then the water weakened the outer wall of one of the forts. It collapsed, burying 22 people, of whom eight were killed. In December 1930 Siwa, Egypt, received 1.5 inches (38 mm) of rain over two days. Ordinarily, Siwa has 0.4 inch (10 mm) of rain a year and 0.1 inch (2.5 mm) in December. The water caused considerable damage to the mud-brick houses in the town. Mecca (Makkah), in Saudi Arabia, also experiences occasional heavy rainstorms that in the past have sent water streaming down into the valley where the Holy Mosque is situated. An extensive system of storm drains has now been installed to protect the area. Desert rain is not always so tempestuous. It can be light, and very occasionally it falls as drizzle. Why does the desert flood? The Holy Mosque at Mecca (Makkah) is at the bottom of a valley. It was at risk of flooding from water draining down the surrounding hillsides. Yemen, at the southern tip of the Arabian Peninsula, also experiences sudden flooding. It is a mountainous country and rainfall in the mountains is quite high—up to 16 inches (406 mm) a year in the foothills and more than 40 inches (1,016 mm) on the western slopes. Rivers draining the mountains supply water to the coastal plain, where the rainfall is less than two inches (50 mm) a year. Heavy rain in the mountains, caused when air approaching over the sea is forced to rise, can send water cascading into an adjacent desert and flooding large areas. In Yemen there is also a plateau on the eastern side of the country. The average rainfall there is less than four inches (100 mm) a year, but the very rare rainstorms can cause devastating floods. 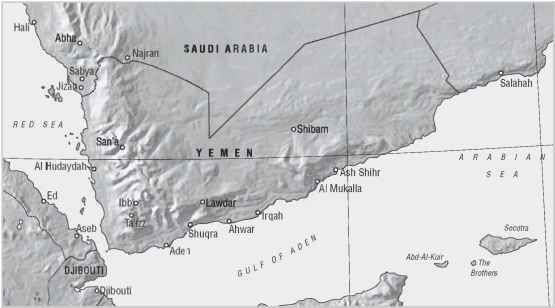 The map shows the location of Yemen. Sudden floods are not confined to the Sahara or the Arabian Desert. They also happen in America. From July through September there are almost nightly storms over the Sonoran Desert of Arizona. The storms do not always bring rain, but when they do it is torrential. The Colorado and Mojave Deserts in southeastern California can also flood. They receive an average 2-10 inches (50-250 mm) of rain a year, although a whole year may pass with no rain at all. Winter rain is generally gentle and widespread, but in summer the rain falls during violent thunderstorms. Storms occur when moist air moves into the desert and is forced to rise. El Niño events, which weaken the trade winds or even reverse their direction, can allow moist air to penetrate deserts in the trade-wind belts. Even without the help of El Niño, a relaxation in the prevailing distribution of pressure can allow moist air to enter. It is then warmed by contact with the hot desert surface and rises by convection. Ordinarily it cannot penetrate the temperature inversion that covers the desert (see box on page 12), but if it does, huge storm clouds form as the rising air cools adiabatically (see the box "Adiabatic cooling and warming") and its water vapor condenses. The resulting storm is violent but usually short-lived, and such events are extremely rare. They cause flooding because there is almost no vegetation to trap the moving water, and over large areas the desert surface consists of bare rock, or there is impermeable rock a short distance below the surface. The water flows across the surface unchecked, raging down hillsides in torrents. Water soaks into the ground where it can, and it evaporates rapidly in the desert heat. Before long the land is parched once more. Clouds may appear in the sky, but they drift across it and disappear without producing rain. On average, clouds cover 10 percent of the sky over the Sahara in winter and 4 percent in summer. Air accumulates moisture as it moves over the ocean. When it crosses the coast of a continent it is forced to rise, and if a range of mountains lies approximately at right angles to its path, it is forced to rise steeply and rapidly. As it rises, the air cools adiabatically (see the box on page 13) and its water vapor condenses. There is cloud and rain on the windward side of the mountains. On the far (lee) side, the air subsides. It has now lost much of its moisture and as it descends it warms adiabatically. This lowers its relative humidity still further (see the box on page 14). Consequently, the climate on the lee side of the mountains is very dry. The area lies in a rain shadow, and a desert may form there. The diagram shows how this happens. The Mojave Desert in North America and the Patagonian Desert in Yemen has mountains South America are rain-shadow deserts. and coastal plains. Ordinarily temperature decreases with height, but sometimes there is a layer above ground level where the air is warmer than the air below. This is an inversion. There are three principal ways an inversion can develop. On clear, still nights the ground cools rapidly by radiating away its warmth. Air next to the ground is chilled by contact, but this cooling extends only a few hundred feet above the surface. Above the surface layer of cool air, there is a layer of air that has not been chilled and is warmer. In the morning, the sun warms the ground, the low-level air is also warmed, and the inversion breaks down. Frontal inversions form where warm, stable air moves above a layer of cooler air at a weather front. The warm air lies like a blanket above the cool air. An inversion can also form near the center of an anticyclone, where air is subsiding. As it sinks, the air warms by compression. If the air near the ground is moving, with gusts and eddies of wind, the subsiding air cannot sink through it, so it lies above the turbulent layer. This is the type of inversion that is usually present in the subtropical deserts. Temperature inversion. A layer of warm air lies above cooler air. Air that is warmed at the surface and rises by convection cannot pass through the inversion layer, where the air is less dense. Air is compressed by the weight of air above it. Imagine a balloon partly inflated with air and made from a substance that totally insulates the air inside. No matter what the temperature outside the balloon, the temperature of the air inside remains the same. Imagine the balloon is released into the atmosphere. The air inside is squeezed between the weight of air above it, all the way to the top of the atmosphere, and the denser air below it. Suppose the air inside the balloon is less dense than the air above it. The balloon will rise. As it rises, the distance to the top of the atmosphere becomes smaller, so there is less air above to weigh down on the air in the balloon. At the same time, as it moves through air that is less dense, it experiences less pressure from below. This causes the air in the balloon to expand. When air (or any gas) expands, its molecules move farther apart. The amount of air remains the same, but it occupies a bigger volume. As they move apart, the molecules must "push" other molecules out of their way. This uses energy, so as the air expands its molecules lose energy. Because they have less energy they move more slowly. When a moving molecule strikes something, some of its energy of motion (kinetic energy) is transferred to whatever it strikes and part of that energy is converted into heat. This raises the temperature of the struck object by an amount related to the number of molecules striking it and their speed. In expanding air, the molecules are moving farther apart, so a smaller number of them strike an object each second. They are also traveling more slowly, so they strike with less force. This means the temperature of the air decreases. As it expands, air cools. If the air in the balloon is denser than the air below, it will descend. The pressure on it will increase, its volume will decrease, and its molecules will acquire more energy. Its temperature will increase. This warming and cooling has nothing to do with the temperature of the air surrounding the balloon. It is called adiabatic warming and cooling, from the Greek word adiabatos, meaning "impassable." Adiabatic cooling and warming—the effect of air pressure on rising and sinking air. A "parcel" or "bubble" of air is squeezed between the weight of air above and the denser air below. As it rises into a region of less dense air, it expands, making its temperature fall. As it sinks into denser air, it contracts, making its temperature increase. Subtropical deserts, such as the Sahara, Arabian, Syrian, and Australian Deserts, form in a different way. They are as dry as they are because the air over them is subsiding on the descending side of the tropical Hadley cells (see the box in the section, "Air movements and the transport of heat"). They are also hot, partly because they lie in low latitudes, but also because the air itself is hot. As it descends, the air warms adiabatically (see the box above). The amount of water vapor air can hold varies according to the temperature. Warm air can hold more than cold air. The amount of water vapor present in the air is called the humidity of the air. This is measured in several ways. The absolute humidity is the mass of water vapor present in a unit volume of air, measured in grams per cubic meter (1 g m-3 = 0.046 ounces per cubic yard). Changes in the temperature and pressure alter the volume of air, however, and this changes the amount of water vapor in a unit volume without actually adding or removing any moisture. The concept of absolute humidity takes no account of this and so it is not very useful and is seldom used. Mixing ratio is more useful. This is a measure of the amount of water vapor in a unit volume of dry air—air with the water vapor removed. Specific humidity is similar to mixing ratio, but measures the amount of water vapor in a unit volume of air including the moisture. Both are reported in grams per cubic meter. Since the amount of water vapor is always very small, seldom accounting for more than 7 percent of the mass of the air, specific humidity and mixing ratio are almost the same thing. The most familiar term is relative humidity. This is the measurement you read from hygrometers, either directly or after referring to tables—and it is the one you hear in weather forecasts. Relative humidity (RH) is the amount of water vapor in the air expressed as a percentage of the amount needed to saturate the air at that temperature. When the air is saturated the RH is 100 percent (the "percent" is often omitted). Rain shadow desert. Moist air rises to cross the mountains and loses its moisture. This produces a desert on the lee side of the mountains. of both hemispheres. In the Northern Hemisphere air flows counterclockwise around an anticyclone (and counterclockwise in the Southern Hemisphere). The wind flows approximately parallel to the isobars (map lines linking places where the pressure is the same), but close to the surface, friction between the wind and the surface slows the wind a little and causes it to blow across the isobars. Over land the wind crosses the isobars at an angle of about 45° (over the sea, where friction is less, it crosses at about 30°). The diagram shows that the consequence of this movement is to carry air away from the center of the anticyclone. In middle latitudes, where weather systems are constantly changing, this removal of air quickly reduces the pressure. The anticyclone weakens and disappears. 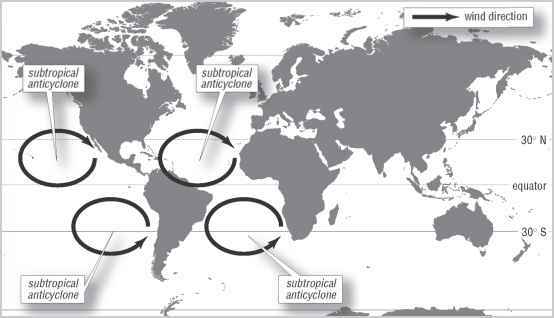 In the sub-tropics, however, the anticyclone is constantly being fed by air subsiding as part of the Hadley-cell circulation. The anticyclones cannot weaken and the general movement of air is away from the center. This persistent outflow prevents air from entering the area—the desert—at a low level. Moist air approaching from the ocean is deflected by the prevailing winds. Not only does the subsidence of the Hadley-cell circulation produce the subtropical deserts, it also ensures their continuing aridity. Although the subtropical anticyclones are permanent features of the general circulation of the atmosphere (see the box on page 37 in the section "Air movements and the transport of heat"), the subtropical deserts were not always so dry. At times in the past the climates of the world have been warmer than they are today. The equatorial belt, or intertropical convergence zone (ITCZ), where the trade winds of both hemispheres meet, was wider then than it is now. The ITCZ follows the Sun, moving north in June and south in September. In those days it moved farther, with the result that rain fell on what is now the Sahara in every month of the year. There were forests, lakes, and farms. The northern Sahara was a major grain-producing region, supplying Rome. It became the desert we see today less than 2,000 years ago. Airflow around an anticyclone. Friction against the surface makes the wind flow across the isobars. The first of the world's great empires flourished during a time of wetter climate, and its failure and collapse has been linked to a drought that lasted for more than a century and turned the farmlands into desert. The empire covered an area called Akkad, and a number of Sumerian city-states and its capital lay on the banks of either the Tigris or Euphrates Rivers (its precise location is not known). Deserts can appear and disappear. In order for a desert to form, it is not enough for the annual rainfall to be low. The amount of rain (or snow) that falls must be less than the amount that would evaporate from the surface if the surface were kept permanently sodden (see the section "Where the deserts are" on page 1). Temperature is important, of course. It is more difficult for a desert to form in a cold climate than in a hot one. Divide the amount of rainfall in a particular area by the average temperature and the resulting figure indicates whether or not that area is a desert. If the average annual rainfall is close to the minimum below which a desert may form, its seasonal distribution is important. Temperatures are higher in summer than in winter, so evaporation is higher in summer and more rain is needed to prevent a desert from forming. Even in a desert, there is water in some places. The Sahara is famous for its oases—lakes in the middle of the desert. Because there is water at the surface, oases support plants and animals. People live around them and farmers cultivate the land. Oases are supplied by water that moves below ground (see the section "Water below ground" on page 108). There are two principal ways they can form, illustrated in the diagram. that covers the desert surface until it reaches a layer of permeable rock, Oases. The figures show into which it soaks, above a layer of solid rock it cannot penetrate. There the two ways an oasis it accumulates as groundwater, flowing very slowly downhill through the can form. porous material. Water may also enter from outside the desert. If the desert is in the rain shadow of mountains, for example, rain falling on the exposed side of the mountains may flow through them as groundwater, into the adjacent desert. Imagine the groundwater flowing over a large area, as a sheet of water possibly hundreds of miles wide, but deep below ground level. Now suppose that in a certain place the wind has blown away surface sand and gravel. Over many years, the wind has hollowed out the land, forming a deep depression. If this depression is deeper than the surface of the groundwater, water will flow through it and the depression will become a lake. Water will evaporate from the surface, of course, but it is constantly replenished from the groundwater, which also keeps the lake water fresh and wholesome, because on the downhill side of the lake the water continues its journey through the porous rock. The lake is permanent and the land around it is an oasis. This is the situation illustrated in the upper drawing on page 17. The lower drawing shows a different way an oasis can form. Here, groundwater flows through the porous rock as before, trapped above a layer of impermeable rock, but this time there is a fault in the rock layers. 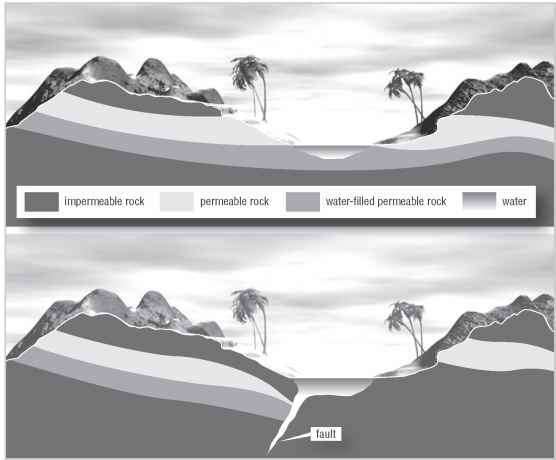 Movements of Earth's crust have fractured the rocks and lifted those on the right (or lowered those on the left) of the drawing. Now the porous layer on the left ends where it meets impermeable rock. The water can flow no farther, so it accumulates and its level rises until it meets the continuation of the porous layer on the right. Between the two, the water level rises to the surface and, once again, a permanent lake forms, as the center of an oasis. Unfortunately, oases are few and far between, and deserts are hostile places. There is very little water and temperatures fluctuate between extremes. Despite their climate, however, they support a surprisingly large amount of life. Subtropical deserts are dry because it seldom rains, but this does not necessarily mean the air is dry. There are some deserts where the air is very moist for much of the time, yet, apparently paradoxically, these are among the driest of all deserts. At Walvis Bay, Namibia, for example, the relative humidity (see the box on humidity in the section "Subtropical deserts") early in the morning is often higher than 90 percent and by 2 P.M., when the temperature reaches its maximum, the relative humidity is still above 60 percent and often above 70 percent. Yet in March, the wettest month of the year, only 0.3 inch (8 mm) of rain falls, and in an average year there are seven months when no rain falls at all. Walvis Bay lies on the coast, at the northern end of the Namib Desert. Contrast its climate with that of In Salah, in central Algeria, deep inside the Sahara and far from the coast. There the early-morning relative humidity exceeds 60 percent in winter, but in summer, at 7 A.M., the humidity is below 40 percent and in July it is often below 30 percent. By early afternoon the humidity has dropped to below 30 percent and in July and August to below 20 percent. This is extremely dry. For comparison, the average relative humidity at midday in the air over New York City ranges from 53 percent in April to 61 percent in September and December. There is no mystery about why the air is moist over a coastal town— its proximity to the ocean explains that. The mystery is why, despite the high humidity, rain is such a rare phenomenon along certain coasts. West Coast deserts. These deserts are affected by the cold ocean currents that flow parallel to the western coast. the southwestern United States and northern Mexico, the Atacama Desert in Chile, the Western Sahara Desert in Western Sahara and southern Morocco, and the Namib Desert in Namibia. As the map shows, all of them lie along the western coasts of continents. 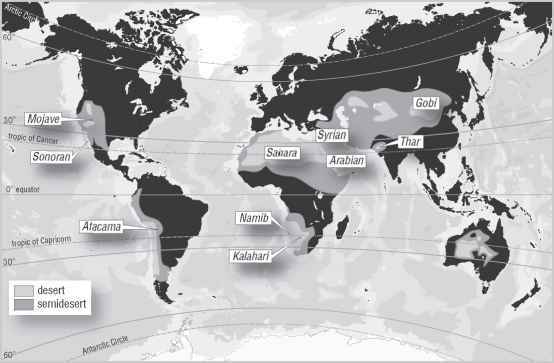 The map also shows that not far offshore there are ocean currents that flow parallel to the coast and toward the equator. The California Current flows along the western coast of North America, the Peru Current along the coasts of Chile and Peru, the Canary Current past the Canary Islands and the West African coast, and the Benguela Current along the coast of southwestern Africa. All of these currents carry cool water from the Arctic or Antarctic. They are eastern boundary currents (see the section "Ocean currents and sea-surface temperature" on page 51). Subtropical deserts are produced by dry, warm air that is subsiding as part of the vertical air circulation in the Hadley cells (see the box on page 39 in the section "Air movements and the transport of heat"). This subsidence produces areas of permanently high surface pressure, known as the subtropical anticyclones. These are centered over the eastern sides of the Atlantic and Pacific Oceans. Air circulates in a clockwise direction around anticyclones in the Northern Hemisphere and counterclockwise in the Southern Hemisphere. The second map shows the approximate location of the subtropical anticyclones and illustrates the effect of the air movement around them. This is to bring cold air toward the equator. The resulting prevailing winds—northwesterlies in the Northern Hemisphere and southeaster-lies in the Southern Hemisphere—drive the surface currents toward the equator. The winds continue around the anticyclones to become the northeasterly and southeasterly trade winds, and the currents also turn, to join the Equatorial Currents that flow parallel to the equator in both hemispheres. Cold, dense air, carried on these winds, enhances the sinking motion of air on the eastern side of the anticyclones. This tends to reinforce the temperature inversions that are typical of all subtropical deserts. The temperature inversions inhibit convection, so no matter how moist the air in the lower layer of the atmosphere and how warm the desert surface beneath it, the air is unable to rise sufficiently for the development of clouds that are big enough to produce rain. The air is said to be very stable, which means that if anything forces it to rise, as soon as the force ceases the air will sink back to its former height. Convective clouds—cumulus and cumulonim-bus—cannot develop in stable air and these are the clouds that bring rain showers (cumulus) or heavy storms (cumulonimbus). The ocean currents carry cold water, but the water is made even colder by numerous upwellings of water from deep below the surface. These upwellings result from the Ekman spiral, a phenomenon that was first explained in 1902 and more fully in 1905 by the Swedish oceanographer Vagn Walfrid Ekman (1874-1954). In the 1890s the Norwegian Arctic explorer Fridtjof Nansen (1861-1930) had noticed that sea currents do not flow in the same direction as the wind driving them, but at an angle to the wind. Ekman found out why this is so. Ocean currents are driven by the wind and, like the wind, they are subject to the Coriolis effect (CorF; see the box on page 53 in the section "Ocean currents and sea-surface temperature"). The balance between the CorF and the friction between the wind and ocean surface produces two component forces of equal strength, one acting in the direction of the wind and the other acting at right angles to the wind direction. The resultant force causes the current to flow at an angle of 45° to the wind direction— to the right of the wind in the Northern Hemisphere and to its left in the Southern Hemisphere. The diagram on the facing page illustrates this. Winds along western coasts. Prevailing winds around the subtropical anticyclones bring cold air to western coasts. at less than 3.3 feet (1 m) per day. The surface boundary layer that is subject to the Ekman spiral is known as the Ekman layer. What desert are affected by temperary rise? What desert were affected by temperature rising? What is the difference between the sahara desert and antarctica in temperature? How do African farmers keep the Sahara desert from expanding? What is the coldest tempature it has been in the sahara desert? Why Namibia is so dry if the distance to the ocean is very similar to Seattle? How hot on average is the sahara desert? What country does sahara desert cover the most? Who needs motive for water in the middle of the Sahara? Where Is The Taklamakan Desert Located On A Map? What is the average temperature each month out of the year in the desert? Where is the Gobi desert located on a map? Which continent is the patagonian desert in? Where is atacama desert located? 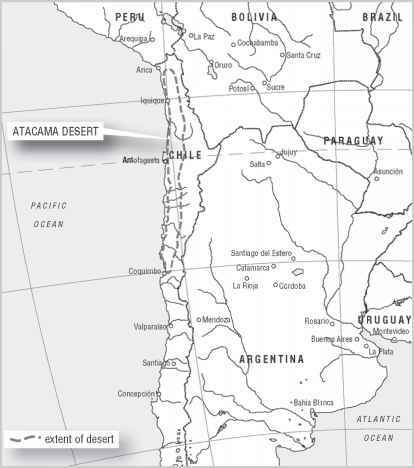 Where is the patagonian desert located on a map? Where is the Taklimakan desert located on a map? What ocean is west of north america and south america? What is the current humidity in the sahara? What does the taklamakan and gobi desert look like on a map? What is the average yearly rainfall n the Sahara Desert? Where is namib desert located on a map? 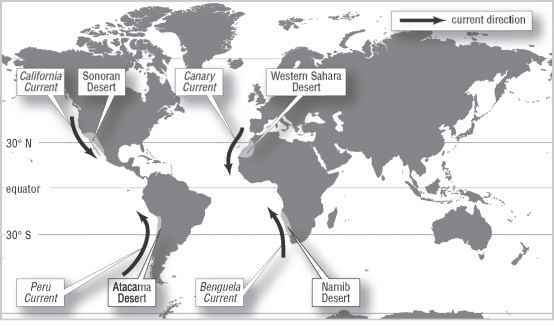 Why ocean currents wash the deserts located on coasts? 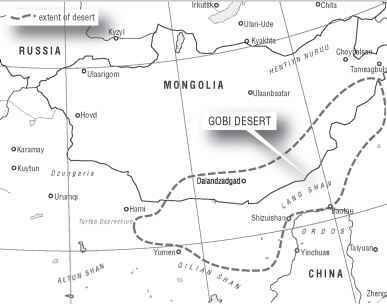 Where is gobi desert located in on world map? How hot does it get inside the sahara desert? Why is Algeria so dry when it lies to the atlantic ocean? Where is the taklimakan and mojave desert located on the maps? 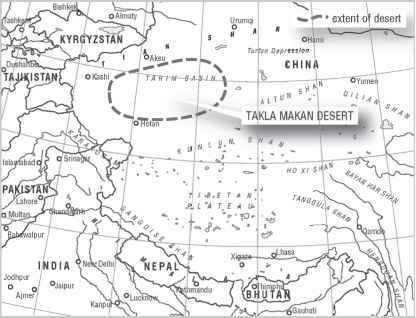 Where is the Taklimakan desert and the Gobi desert? What type of climate does algeria have and why it is so dry when it lies to the atlantic ocean? What is the temperature and climate for each month in the sahara desert? What is the name of the ocean located on the western side of north america? Where is the syrian desert located on a map? Where is the east desert on a map? Which hemisphere is the Sahara desert in? Where is the Gobi Desert located on the map of china? Is the windward side of sahara dunes generally to the west? Where is the libyan desert located on a map? Where is taklimakan located at in china? What is the difference between the savannah desert and the saharra desert? What is the sahara desert average annual temperatures and rainfall amounts? Are deserts supposed to be a certain temperature? Where is the takla makan desert located? What is the average monthly temperature in the sahara desert? Why is tamanrasset algeria so much colder than other nearby regions? Where is the eastern desert located? Where is the taklimakan and gobi desert located? How cold is the coldest month in salah? Where is the takta makan desert located on a map? Where is the sahara desert located on a world map? How dangerous the tigris river can be? Where is takla maken desert located? HOW DOES SAHARA DESERT WEATHER FORM DEPRESSIONS/ANTICYCLONES? What does relative humidity have to do with the Gobi desert never melting? Which cold ocean current passes through Sahara desert? Why does Salah has less rainfall? Where is the cold ocean currents desert? Where is the sahara desert loated? How cold in the algerian desert? What is the average annual temperature in the sahara desert?